You say you want a revolution? Well, you know… . you might get one if you’re a patient Windows user. With Windows’ eighth major release (at least according to Microsoft’s math), its name is becoming metaphorical. Taking on a default look that is rooted in Windows Phone 7 — the first “Windows” to eschew windows — with a smattering of Media Center, the next major version of Windows marks an overhaul of the initial user interface. Indeed, it is even a more radical departure than Apple made between Mac OS X and iOS, which preserved a scaled-down dock and icons, or between Mac OS 9 and Mac OS X.
Apple’s and Microsoft’s approaches are similar in at least one way — each has one operating system for PCs and another for phones. Clearly, though, the longtime operating system rivals have taken different tacks with tablets. 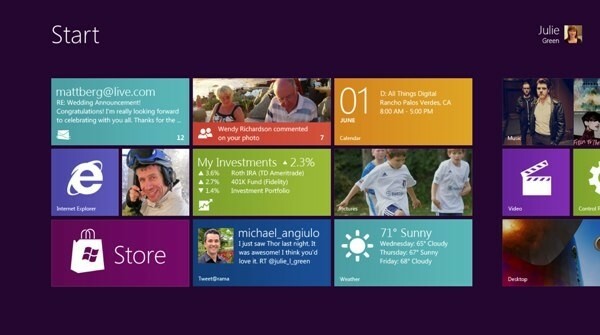 Switched On: As Windows loses its windows originally appeared on Engadget on Sun, 05 Jun 2011 18:00:00 EDT. Please see our terms for use of feeds. 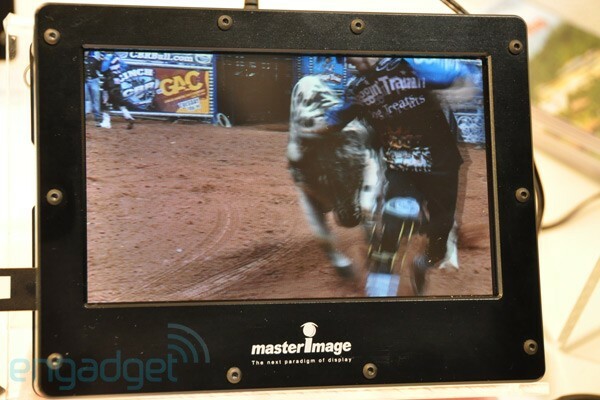 MasterImage and its parallax barrier 3D technology have been around for a while. Though nothing major — excepting the Hitachi H001 in Japan — has ever come of this company’s efforts, it’s back at Computex this year with a trio of reference display, showing off glasses-free 3D at 4.3-inch, 7-inch and 10-inch form factors. Resolution on both the 7- and 4.3-inch panels is 800 x 480 at the moment, but there’s a 1280 x 800 7-incher in the works that could be ready for production by the end of this year. The parallax barrier allowing for the autostereoscopic effect to happen adds only 1mm to the screen’s thickness, though it does halve vertical resolution — meaning an 800 x 480 screen will only show a 400 x 480 image when flipped to 3D mode. MasterImage builds the LCDs and controllers in these 3D imagers and is currently in discussions with what we’re told are “first tier” manufacturers of both smartphones and tablets. You can see the 7-inch display on video after the break — we found it able to match the 3D effect produced by displays requiring glasses, which is a good thing in relative terms, but as you see above, the two frames can and do get split up if you’re not perfectly positioned to soak up the third dimension. MasterImage touts 4.3-, 7- and 10-inch glasses-free 3D displays, interest from ‘first tier’ device makers originally appeared on Engadget on Sun, 05 Jun 2011 17:17:00 EDT. Please see our terms for use of feeds. Yes, of course well be bringing you the full liveblog action from WWDC, and as ever you’ll be able to read along as the biggest Apple news of the summer is unveiled. But this year we’re bringing you more: two live broadcasts to give you some extra analysis. At around 10:30am ET (that’s 7:30am on the best coast), before Apple kicks off the show, Tim and Darren will go over the expected big announcements for the day, talking iCloud, iOS 5, and Mac OS X Lion. Then, once the dust settles, join us again for a second live broadcast to dive deep into the day’s announcements and any other surprises Mr. Jobs has in store for us. Hopefully we’ll all survive. Where can you watch them? Set your bookmarks right here. 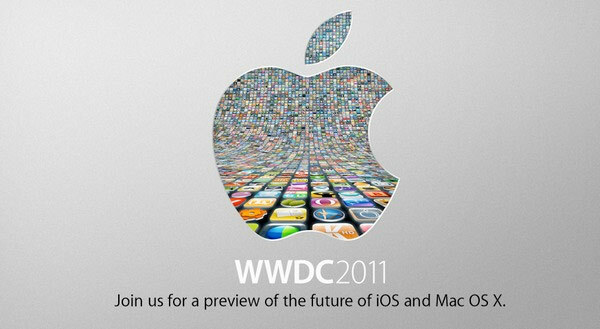 Engadget will be broadcasting live from WWDC! originally appeared on Engadget on Sun, 05 Jun 2011 17:00:00 EDT. Please see our terms for use of feeds. This entry was posted on June 5, 2011, 6:11 pm and is filed under Mobility. You can follow any responses to this entry through RSS 2.0. Both comments and pings are currently closed.